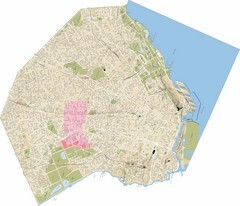 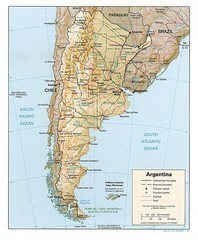 Detailed tourist map of Argentina. 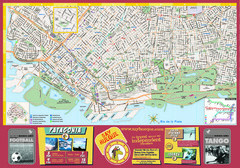 Highlights major tourist destinations and shows all activities. 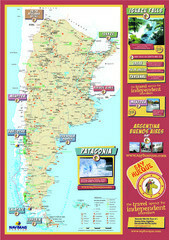 Shows Tierra del Fuego and other regions around the Strait of Magellan. 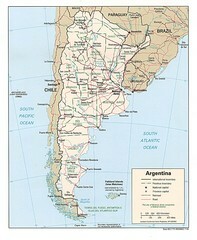 Chile and Argentina.